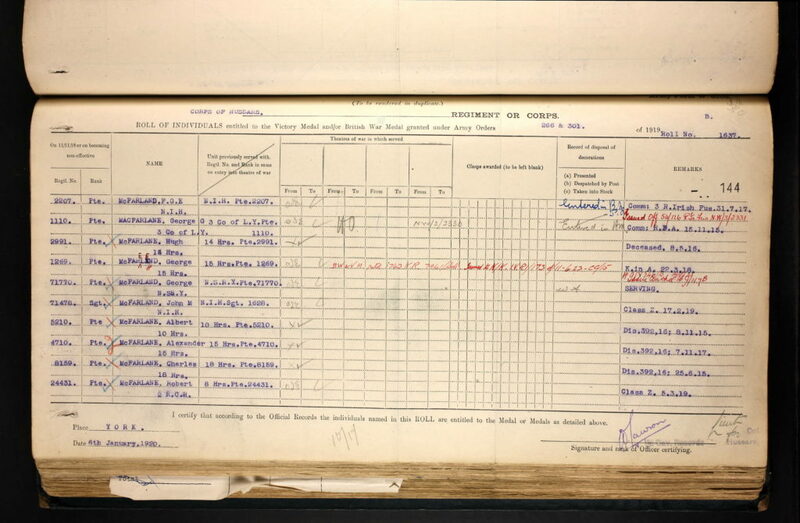 Continuing with the GSA Archives and Collections posts on the GSA WWI Roll of Honour, volunteer Lewis Swallow writes about what he has discovered during his research into individuals on the Roll. During my time volunteering on this project, I have been able to delve into the life stories of former students and staff of The Glasgow School of Art who served in the First World War and, accordingly, whose names appear on the School’s Roll of Honour. Using online resources such as Ancestry and Scotland’s People, as well as the School’s original student registers, I discovered some fascinating narratives which lay behind the names on the Roll. Severely wounded in the British Army’s Gallipoli Campaign in April 1915, GSA alumnus George Gordon Macfarlane recovered to serve three more years for the Army in France. An architect, author, and brother of a major figure in Scotland’s twentieth century literary renaissance, Macfarlane’s story is an incredibly interesting one. Born in Glasgow in 1885, Macfarlane was one of four children of George and Mary Anne Macfarlane. He attended Kelvinside Academy and the University of Glasgow before studying architecture at the GSA from 1905 to 1909. While at the School he was under the tutelage of Professor Bourdon and Professor McGibbon and was an apprentice for John James Burnet, who was designing Glasgow’s Alhambra Theatre at the time. Macfarlane then moved to London before being employed, from November 1913 to April 1914, as an architect and surveyor for Henry Solomon Wellcome’s fourth archaeological expedition in Jebel Moya in Sudan. His professional career was then disrupted by the start of the First World War. At first, it was not easy to find records about Macfarlane’s war service due to the lack of information available. From the details on the Roll of Honour it was only possible to ascertain the name and rank of the individual and the name of the regiment they served in. From the student registers you would usually be able to glean some extra information such as an address, a date of birth, a middle name, as well as academic information. Initially though, Macfarlane was not to be found in the student registers. This was because his name was incorrectly displayed on the Roll of Honour as Lieutenant C. C. Macfarlane of the Royal Field Artillery. The only name in the registers that came close to this was that of George Gordon or G. G. Macfarlane, who, as I will show later, became a Lieutenant in the RFA. It was determined that somewhere in the process of putting the names on the Roll there had been a transcription error made and “C. C.” was incorrectly put on the Roll instead of “G. G.”. 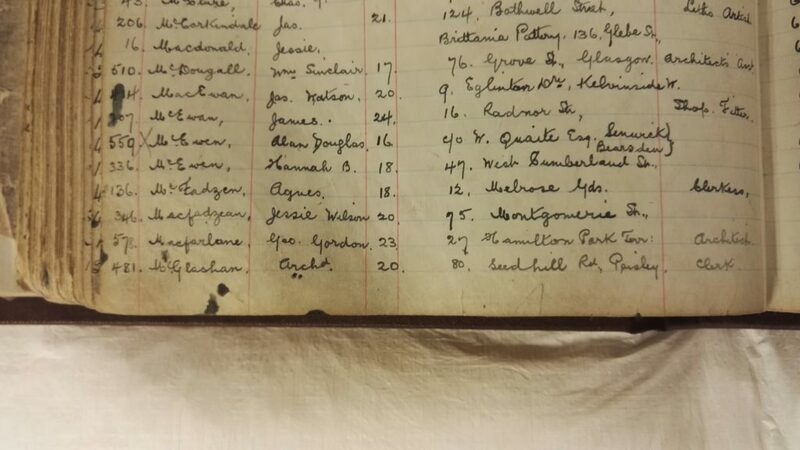 The number of soldiers by the name of George or Gordon or G. or G. G. Macfarlane who served in the Army, and in the RFA specifically, also created a problem. After finding his obituary in The Times newspaper archive though, the search was made easier. Macfarlane’s obituary stated that although he later served in the RFA, he first enlisted in the Middlesex Yeomanry. This information allowed me to find his records in the Service Medal and Award Rolls series on Ancestry. The records stated Macfarlane served in the Territorial Force, which was the volunteer reserve component of the Army. His regimental number was 1110 and served as a Private in the 3rd County of London Yeomanry (Sharpshooters), which formed, with the Middlesex Yeomanry, the 8th Mounted Brigade of the Yeomanry Mounted Division. For his service in these first years of the war, Macfarlane received the 1914-15 Star, the British War Medal and Victory Medal. Macfarlane was wounded in his Division’s landings in Gallipolli in 1915. After recovering from his injuries, Macfarlane served in the RFA in France. The online archive of the official government publication, The Gazette, showed that Macfarlane was promoted to the rank of 2nd Lieutenant in November 1915. Two years later, he received the Military Cross, a reward given for gallantry and distinguished service in the field and in early 1918, he was promoted to the rank of Lieutenant. 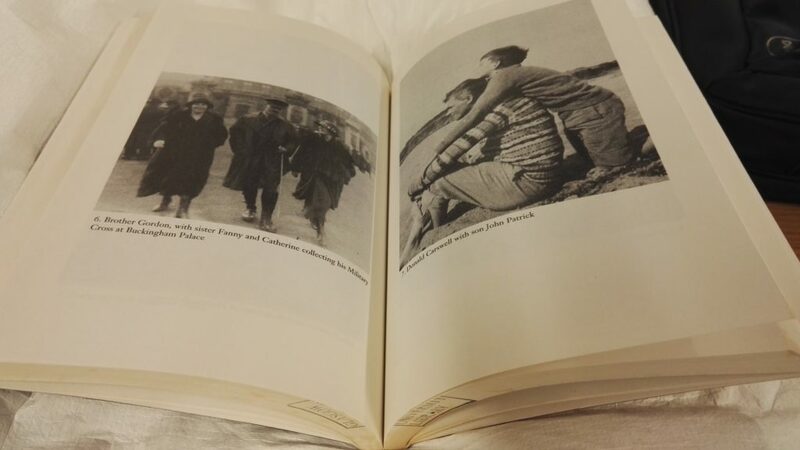 There is a photograph of Macfarlane with his sisters on his way to collecting his Military Cross from Buckingham Palace in Jan Pilditch’s Catherine Carswell: a biography. According to his obituary, Macfarlane was gassed twice while in France. Macfarlane’s brother-in-law, the journalist and author, Donald Carswell, also served in the war. Donald’s brother, John Jamieson (Jack), who, like Macfarlane, attended the GSA as an architecture student, was killed at the Battle of Loos in 1915. Photograph of Macfarlane with his sister on his was to collect his Military Cross from Buckingham Palace, and Donald Carswell in Jan Pilditch’s ‘Catherine Carswell: a biography’.